Reflections of a Grady Doctor: Say my name. 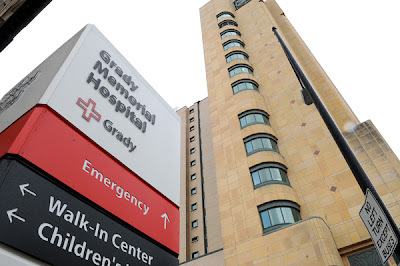 When I first returned to Grady after my wedding and honeymoon back in 2004, quite a few people were surprised when I announced that I had a new last name. "Dr. Manning," I said without flinching. Not hyphenated. Not optional. This was my new name. And let me be clear: I think taking your husband's name is a highly personal choice. I do not knock those who don't one single bit. Especially because the vast majority of these individuals are grown women who should be able to do whatever the heck they want to do with their last names. But me? I chose to become Kimberly Manning. Harry said he hoped we could all just be "Team Manning." Maaaaan, please. That brother had me at "team." So I'll never forget it. I walked into Grady that Monday and one of the first people I saw was one of my favorite senior faculty members, Dr. Michael L. He scowled at me and said, "What's this I hear about you changing your name? You've been here for three years! My brain is too old for new names." "Draper. That's it for me. I'm calling you Draper when I see you and that's that!" And if you know Michael L. you can hear his voice saying this full of super-surly cantankerous-ness. "And I will not answer you since that is no longer my name. I still have Draper genes in me but I am now a part of 'Team Manning.'" Michael took his index finger and feigned a (quite warranted) gag and wretch. "Draper!" We faced off. I held up my new badge in his face and shook my head. "You'll adjust, sir. You will." And you know what? Despite his attempts otherwise, eventually he did. He adjusted. As did everyone else around me. For whatever reason, it was important to me for those around me to respect my decision to take a new name enough to use it. Just as it's equally important to respect those who choose to keep their maiden names and NOT assign them the name of "Mrs. So-and-So." I was firm on that. So that meant that I quickly corrected accidental hyphenations and even those who persistently got it wrong. Never did I give in and simply say, "No big deal, Draper is fine." And for that reason and that reason alone, I feel sure that everyone began to see me as Kimberly Manning. You know? It wasn't as much work as you'd imagine. Outside of Michael L., it didn't require much redirecting. So I learned something. I learned that people will first do what is easiest for them. But if you let them know your preference. . . it doesn't take long at all for them to get it. So that brings me to today. Today I was in clinic working with two wonderful residents. Both speak Arabic as their first language although one hails from Syria and the other Libya. Mahmoud, who always works with me in Monday clinic, taught me how to say his name properly after I watched people referring to him using a different pronunciation than the one he used himself. "How does your mama say it?" I asked. "It's okay, MAH-MOOD is okay." "But how does your mama say it? Does your mama say MAH-MOOD? In Libya?" And Mahmoud laughed loud and hearty which told me my answer. "I want to say it how you say it. And how your mama says it. Teach me." So he took his time and taught me. "Say MAH." "Then make a tiny little sigh like this--'hah'." "Now. Put it all together fast like this-- MAH-hah-MOOD." So I practiced in front of him. "MAH-hah-MOOD." "The 'hah' needs to be smaller. And not guttural or else it becomes a different name." "YES! Good, Dr. Manning! Good, good!" Mahmoud exclaimed. And exclaimed was the verb I meant to use because that is really what happened. So every time I see him, I try my best to honor the name his mama and his daddy and his culture gave him enough to say it right. The Syrian woman working with us today is also of native Arabic tongue and has a rather intimidating (to Westerners) last name when you first see it-- Dr. Abed Alwahab. I don't work with her often so usually her first name suffices. But in clinic, I always address the doctor as a colleague in front of the patients so I needed to get the proper pronunciation of her name. "A-BED is fine," she replied. "What do you prefer? Do you prefer to be called 'Dr. Abed?'" She shrugged. "It's fine. I'm okay with that. It's hard for people to say my name, so it's okay." "Tell me how YOU say it. Teach me how to say it." So she smiled for a moment and then sweetly answered. "A-bed Al-wa-hab is the whole thing." "Dr. Abed Alwahab?" I repeated. "That's totally phonetic." She nodded her head and chuckled. "Uuuuhhh . .. I guess it is." She seemed more than anything to be glad of the time I took to ask and that was enough for her. But Mahmoud knew that I wanted to really know how to say it. Like she says it. Like the way it's really pronounced. So he chimed in. "Dr. Manning if you want to say it like it's pronounced in Arabic, it's more like AB-DAL-WA-HAB. But you say it fast. All together." "Dr. AB-DAL-WA-HAB," I proudly copied him. And don't you know they both squealed with glee and clapping? So I showed off and repeated it like ten more times until I had it mastered. I saw her pale face flushing. I could tell how much she appreciated the gesture--this simple gesture of respecting her culture and her name. 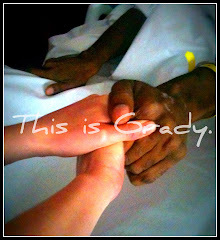 I have a colleague at Grady who is of Nigerian descent. Her name is rather intimidating on paper, too, but honestly? When you get past what it looks like, you recognize that it, too, is also pretty much phonetic. So most who see my friend, Ugochi (OOH-GO-CHEE) butcher that part (which is her first name) and then -- perhaps unknowingly -- refuse to even TRY her last name. I guess they are just too exhausted from trying to say her phonetic first name? Uh, yeah . . .okay. Ohuabunwa. They see it and cringe. Or instead of cringing they just laugh and say, "Dr. O." But here's the thing--she doesn't refer to herself that way. I'm pretty sure that much like I wanted to be called "Manning", it would likely be her first choice to be called by her name, too. So just like those residents, I asked her to teach it to me. Phonetic. Ohuabunwa. Ohuabunwa. Ohuabunwa. I practiced it until I got it right. 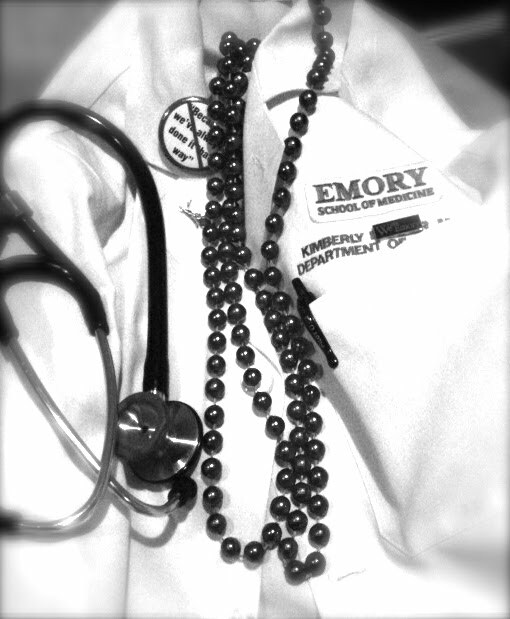 And vowed to never call her or refer to her as "Dr. O" ever again. Yeah, Dr. Ugochi Ohuabunwa. I see you, too. As you can guess by now, this whole ethnic name dismissal thing -- and married name whatever-ness -- is a bit of a pet peeve of mine. I think it's kind of disrespectful to not even attempt someone's name just because it looks foreign or different to you. But you have to give them credit for one thing--at least they tried. They saw all those consonants and still took a crack at it. An amusing crack but a crack no less. They didn't just look at it and decide to say "pass." In my opinion we shouldn't be able to just "pass" on people's names. We owe it to their mamas and their daddies and their grandmamas and their granddaddies to try to learn and use the one they prefer. And not just our lazy English default. In fact I think saying someone's name the right way is kind of like the nod. . . .it's your way of saying, "I see you." Because really. . . how smug is that? How smug is it to look at a person's name and then size it up as not worth your brain power to properly say? Especially if you work with the person repeatedly? I don't care if you don't have bad intentions, either. Indifference--especially to cultural things--can sting. Trust me on that. My first name is Kimberly. You can call me "Kimberly" or "Kim" if you're a friend or an adult who isn't my student or my resident. In that case, "Dr. Manning" or "Dr. M" is cool. I don't like little kids calling me by my first name--unless it's got a "Miss" in front of it. Just call me old school *shrugs* That's my preference. And don't worry--if you're grown, my kids won't be rolling up on you with a fist bump calling you by your first name either. Even if you insist. No, ma'am, they will not and no, sir, I don't think so. And speaking of more preferences. . . . when my name is printed somewhere, I strongly prefer "Kimberly" and not "Kim." Yep. And yes. It makes me happy when folks acknowledge this wish--especially the Kim-in-print thing. You know why? It's simple. My mama has always preferred "Kimberly." Always. Not one time has my mother ever referred to me as "Kim" or written my name that way anywhere. Ever. So out of respect for my mama, I introduce myself as such and like to see it printed that way, too. Yep. That's my preference. Which tells me that everybody has one. 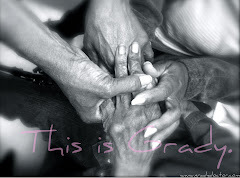 Even a grandmama who wants to be called "Grandy" instead of "Grandma." Yup. No, I won't taze you or scream at you if you slip up or you don't know my preference. I'm not so self-important that I run around obnoxiously shutting people down for improperly using my (hello? common!) name. My point is this: Don't hear someone introduce themselves as something and then just create something that you find easier. Especially in a formal setting. Don't just reach into the sky and opt out of the name that their loved ones chose when they were born. Don't. At least don't with me. With me? When you see me, say my name. My name. Or one I'm cool with--and not just one I've given up and decided to be cool with just to save you a few syllables. Yeah. Say my name. And I promise --- if you teach me how --- that I'll do my very best to always say yours. See? It's not hard to learn it all . . . . that is, once you decide. What are your thoughts on this? Weigh in, y'all. Now playing on my mental iPod. . . . . some old school Beyonce and her crew. . . 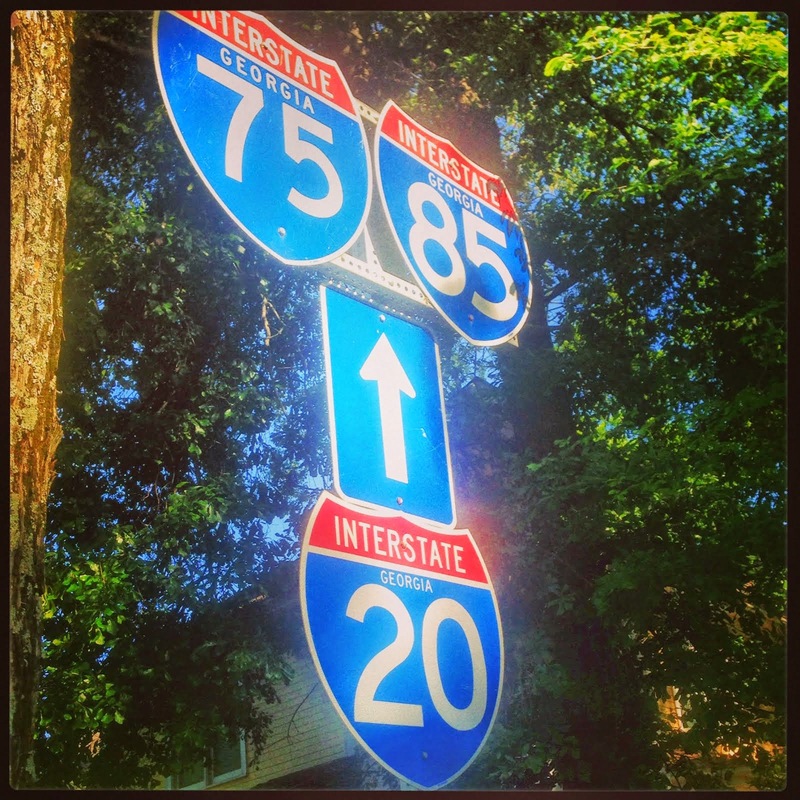 I love this post -- so interesting! I did not take my husband's name AND it's difficult to pronounce correctly, but you've given me some courage to ask people to not only use it but pronounce it correctly! NOW, I have a question for you. 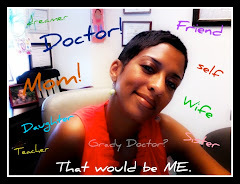 Do you refer to mothers of your pediatric patients as "Mom?" Most nurses and doctors do. That's something that nearly all the people who I've worked with in healthcare and those that I know who have sick or disabled children agree upon -- they tolerate it at best and mostly hate it. Good question, Elizabeth. Hmmmm. I am pretty sure when I was regularly seeing children I was guilty of that not just with kids with special needs but all parents. At some point I think I noticed a parent cringing because it was obviously not their preference. Too familiar, you know? Our pediatrician never calls me "Mom." She usually says "Mrs. Manning" which is who I am, too, so that's cool with me. Good reminder. It's best to err on the side of formality. Always. Do people butcher the kids' last name? There's an article in Clinical Pediatrics "Don't Call me Mom: How Parents Want to be Greeted by their Pediatrician." The results: basically parents want to be called by their name and they want the doc to introduce themselves. In this particular study (100 pts in an outpt Michigan clinic) 87% of parents wanted the physician to use their name in greeting. In actuality, 14% of residents used the parents' name and 21% of attendings did. I think my pediatrician has always used my last name. But I definitely know that the majority have not introduced themselves - like on a sick visit where you may not see your go-to-doc. That always annoys me! Thanks, Allison! This is an awesome reminder that, again, it all comes down to R-E-S-P-E-C-T. When I get a patient who doesn't speak my language, I always try to find someone on the ward to teach me a few simple phrases. "Good morning," "How are you?" "What's your name?" Not because I think I can learn Russian, or Amharic, or Romanian that way, but because it's so much fun to watch the patients' eyes light up when they realize at least I'm trying. Plus, having them correct my (usually atrocious) accent is a great icebreaker. Can you imagine how scary it must be to be a patient on a ward where the staff doesn't speak your language? Hey Shosh! That's awesome of you. And not speaking the language? I know. Crazy. I blogged about that a while back. I think it's in my favorites under "Loose Interpretations." A really huge learning experience for me to write that. Let me know what you think. I completely agree with you on this one. But you know, we ARE lazy, we humans. And so tied to our cultural stuff. But it's all about respect. Which you are all about. I would expect nothing less of you in addressing patients and colleagues. I took my husband's name but how could I not? Mary Moon. It's perfect! I believe people think I made it up like some hippie thing. But no, he is a Moon, his daddy and mama were Moons, etc. Also, I am fond of my given middle name which is Gibson and that came from a great-grandmother and so I have kept it. My last name given by my father? Forget it. I, like you, wanted to be part of the new team. So I am Mary Gibson Moon and now my grandson is Gibson Monroe Hartmann. Did you know that up until now I thought Gibson was named for the guitar? Ha ha haha. And I always believed that "Moon" was real because you are just real like that. I do love getting the confirmation, though. My first name is Kathleen. I've always been called Katie or Kate, although in the past few years I've begun introducing myself as Kathleen when meeting new folks. I don't mind which of the three they choose, so long as they don't take it upon themselves to call me Kathy, which is most certainly NOT who I am. This is so interesting. My Kathleen/Katherine/Christine friends are very particular about this. I know a Katherine that hates being called "Kate" and a Christine that will punch you if you call her "Chris." I also remember a girl in residency named Judith who was not keen AT ALL on being referred to as "Judy." At all. Well, you already know how I feel about names. When I sub in a classroom, the first thing I do is look at the class list. When I check attendance, I call each student by name as I make eye contact. I also ask them if I'm pronouncing their name correctly, and if I'm not, to teach me the correct pronunciation. I think using someone's name correctly validates them and shows them that they are important. Everyone wants to feel valued, and it always gets my day off to a good start. You may be Kim to your friends, and your brother, Will, to his, but as for me, you two will always be Kimberly and William. I know for CERTAIN that I get this from you. This is SO a Shug thing. You got that, Shug? Ha ha ha. Names are highly personal and I agree, are very important. I for one, did not take my husband's name but it doesn't make he and I, along with our two kids, Team [Anonymous]. For me, I achieved a LOT professionally, under my maiden name and it was very important to me to conintue to have an identity outside of wife and Mom. Thankfully I had a husband who completely understood and supported that and hopefully, my kids will too when they get to the age where they begin to ask me "Why do you have a different last name?" But all that being said, the respect that people have given me and my choice has been paramount and mirrors your experience. This is such an important thing and I thank you for bringing this up! There are so many "teams" out there with different last names! I have friends who are just as annoyed by being called "Mrs.[Husband's name]" as I was about the intentional refusals to accept my chosen name. It's all about respecting people. 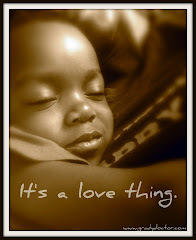 As for children, they know love when they see it no matter what the name is. I'm glad that people have respected your decision--it's important. Thanks for this post, Dr. Manning! I'm Indian, and my parents gifted me with a not so complicated, but still long and multi-syllabic first name. At first I'd try to teach people how to pronounce it properly but they would inevitably end up "Americanizing" it after it got to be too much for them to say it properly. Sadly, that made me Americanize my own name too, so much so that I pronounce it differently when I introduce myself to people that are not of Indian origin. When I got to college, I cut my name in half to make it even easier. Your post made me realize that I owe it to myself to teach others to pronounce it the right way- the way my parents intended it to be. It's as much a part of honoring myself and honoring my heritage as it is honoring my parents. Thank you for that, and thank you for being one of those people who insist on getting our name right, just like our mamas intended. I love Indian names. I actually love non-English names in general because they usually have meaning. This is the first time I've put this soap box in writing--but I've felt this way for years. One of our learners in our residency calls himself "Andy" -- and he's an awesome guy. His mama and daddy, however, named him "Anand." When I told him that I refuse to call him "Andy" he laughed and respected that. I think Anand is much more beautiful name and I bet his mama does, too. 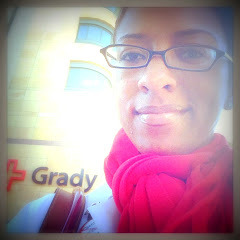 Hi Dr. Manning~ I am Keri (Sullivan) Ninness, a former grady HIV social worker. I loved working there and have fond memories of you talking about those precious boys while we stood at the nurses station. Gotta say, you were easily the most approachable, down-to-earth attendings around. Since working from home with my soon to be 2 gremlin children, your blog has kept me smiling. This might be my favorite post ever though. I love it. It made me think, critically think, and that's not something I have a lot of practice with on the land of bed-rest and toddler-dom! Thanks for stretching my mushy brain today! KEEP WRITING Please!! KERI!!! 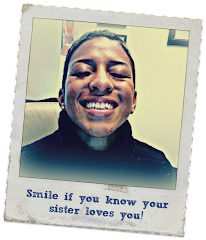 I TOTALLY remember you and your awesome smiling face. The feelings are so mutual--you always stood out as a favorite of mine. The spirit on 12B has always made it my favorite place on wards because everyone seems to have servant's hearts up there. We miss you. Congrats on the twins! And congrats on actually getting your brain from pregnancy-mush land which I knew very well! Ha ha ha. I'll keep writing if you promise to keep reading. Anyhoo, I insisted on my full first name until I got to college where folks shortened it for me and I went with it. I don't mind the shortened version but I always know how long I've known someone by what they call me. Full name - first 16 years of my life. Shortened name - Fall of '89 and beyond. Even my husband calls me by my short name, while I call him by his full first name - Michael. I'm "name sensitive" - I call people by their full names, unless asked not to and I always ask for correct pronunciations. OAN - I spell my married name for people (which is common and Western) out of habit since I always had to spell my maiden name. I get epic side eyes for this practice. What?! "Nerd Girl" isn't your real name? You hit a nerve! My name Jameil is pronounced Juh-MEL. And mispronounced as it's spelled ALL.THE.TIME. Like people who hear it first mispronounce it when they see it. Soooooo annoying. As a result, I'm very particular about knowing and saying people's names according to their preference. And my mom also taught me not to like nicknames because my dad and all of his siblings have nicknames they hate but can't shake 50-70 (!!) years later!!! So when you call me J or Mel, I actually react more vehemently than when you mispronounce my name. I hate Mel the most. Ugh. Pleeease never call me Mel!! You lost me on the grandma bit, though. LOL Mine insisted my oldest cousins (~10yrs older than me) call her grandmother. Side eye. She can be so stank and off-putting as that name (for me) suggests. I've always called her grandma. I don't know if she'd given up by that point (seems unlikely knowing her...) or what but I don't remember being corrected and now I'm her favorite. I am so glad you said that because whenever I see your name, I hear "JAH-MEL" in my head. Whew. Promise to never call you "Mel." As for grandmother. . . .you might get cut one day. With a knife. NO, for real. For calling her "grandma." Oh well. . .at least she didn't insist on simply "GRAND" or worse "GRAND-MuhMA." LOL! Kirsten, not Kristen, Chrissie, Crystal, or Blondie. Pronounced Curse 10. Not hard. Lehtoma, not Lethmoa or (my favorite) McComas. Ethnic (Finnish), but I'm third generation and grew up in the Cleveland suburbs, so it's not a cultural thing. It's about respect. Somehow all my teachers and friends in grade school got it, no problem. After that it's been a hot mess. Yes, Kirsten!!! That's the entire point!! It is SO about respect!!! Thank you for getting me. Great post. I'm very big on names to, which probably came from Shugsie. I correct "JoLai" a lot, but I try not to be rude about it. They say "Jo-Lie" or "JoLee", and I say "Jo-Lay, like Lay down or Frito-Lay.". People at work call my Darlene, which is easier than JoLai. 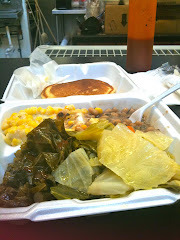 When I go places with Daddy, I often have to say "Decide if I'm Darlene or JoLai & stick with it." because he'll introduce me as Darlene to one person & JoLai as the next person. LOL! But I love both of my names equally! Is that okay? Ha ha ha ha. . . . feeling like I'm overdue for assigning you a new ridiculous pet name. . . .
Grrrrrr! Sorry about all my typos above. It's the iPhone's fault!!! And I wrote to instead of too....Major pet peeve! I've annoyed myself! As for the nicknames... You know I love every single one of them! Bring 'em on! In Cameroon, it's not uncommon to have 4 names - and family names aren't always passed down so you can't even cheat and try to guess based on familial lineage. Plus, some people go by completely different names/titles if they've been given one tribally. I tried reading baby names at Vaccination Days in village but all I got were a lot of perplexed "Huh?s" the first few times so I usually tag on their date of birthday as I'm registering patients. However, you make an excellent point. So tomorrow, before weighing those squirming suckers, I'm going to give it another shot and ask for help with the pronunciation. Speaking of which, I've really slacked with learning more patois words/phrases. I can usually get by in French, but people are so much happier when I at least attempt the local greeting. Thanks for the (inadvertent) encouragement! Thank YOU for continuing to read. I love knowing that someone is reading my blog in Cameroon. So cool! I just read your Loose Interpretations post, three times through, and--Wow! Your portrayal of what that Chinese dialect-speaking patient must have felt, lying alone and vulnerable in her hospital bed was incredibly vivid and moving. The sense of invisibility, of not having a voice or being able to relate to others as a person is so terrifying. So I guess it's the doctors job to find a way to hear those patients--and if we have no shared language, well, that's what our imaginations are for. I love the idea of writing out a patient's story from her perspective, and I'm planning on copying it from you. Once again, thanks for inspiring me. Awwwwww!! Thanks for going and actually reading that post! "Loose Interpretations" has always been one of my favorites. Phew! So glad that you started this out by saying that respect for all choices is important. I'm one of those people with a bizarre first name and an easy last name. When I got married to a man with a crazy last name, there was NO WAY that I was going to have back to back jacked up names so I kept my maiden name. My husband, bless him, did nothing but support me on it (including acknowledging that the two names together were a little much! :) ). So I appreciate the sensitivities all the way around. ...well, I'm reading your blog in Switzerland. And we have the same problems with names and their pronounciation. Much like you I let the people teach me their name and even like them to write it down on a small piece of paper. These I store in a box and from time to time I take them out and say the names aloud. Like some sort of practice. Best thing that ever happened to me was when I met Mr. Kotuwattegedera. To teach me his name he did a little tap-dance. And since I know that the translation into English means "summerhouse" I can recall his name with the right pronounciation whenever we meet. My name is Mary Alice, not Mary,not Mary Ann or Mary Ellen or Mary Ellis (that may be because of my pronounciation) nor whatever other suffix to Mary you want to add because NO ONE remembers Alice. And I am certainly not Mary or Mare. I too am always asking patients and the fellows at work to pronounce your name like your mother does...I found out one of our attendings with a Russian surname was being called by the wrong name all the time. Or people would give up and call him Dr Igor (his first name). I agree with your mom that you owe it to people as a sign of respect to learn their name. It really isn't hard. I work with a doctor whose entire name is Massimo Cristofanilli. You should see how that one is butchered. Be glad you have Kimberly Manning to deal with! And hats off for teaching your kids to address people with respect too. I think that is one of the lessons at Camp Papa. Wow Mary Alice! That's interesting that folks manage to mess that name up. It sounds so apple pie--wholesome and say-able. And high five on the kids talking like their grown thing. Uh uh, no ma'am. My first name is Kimberly too and I absolutely HATE it when someone asks me my name, then proceeds to call me Kim. And if you really want to see my blood boil and you don't know me like that, call me Kimmie. Awwww hells naw, LOL!!! See?! That's why folks need to ask--for reals!! 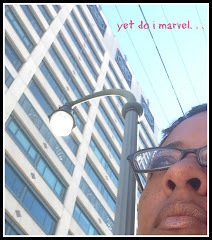 Dr. Manning, I love your blog! 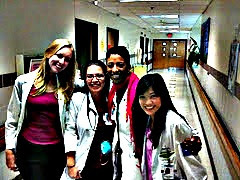 I work with a lot of nurses and CNAs from various countries in Africa (Benin, Cameroon, Nigeria, Ivory Coast, etc.). This was new for me...in Florida it was staff from Haiti, Trinidad, Jamaica, etc. I've been doing just what you described here in my new facility--asking how THEY pronounce their names, and learning how myself. It's been a great way to break the ice, and learn about each and every one of them. This is so.damn.true. I make it a point to ask the patient , if it is even a question of correct pronunciation, to tell me how to say their name ....how THEY would say it. Now of course, I am a bit informal in my approach -especially with the elders because something just doesn't sit right with me having people older than me refer to me as " Dr. So and So." So after I ask them how to not massacre their name( seriously-it's what I say)- I introduce myself as Dr. Shindler, but explain that if they feel so inclined-Maria is just fine with me. I've never been one caught up in a title, and it feels right for me to present myself that way. :) I bet your name gets "Schindler" spellings a lot, no? I like to get names right too. Working at the school where I do we get a lot of international families, and I can only imagine how it gets tiring to hearing your name butchered repeatedly. 9.5 times out of 10 they are completely fine with it, but I think it does make a difference to make a effort to get the name right. RIGHT, not close enough. The students call me Mr. B, but my last name isn't difficult at all. It's just kind of how I'm known. It actually started more than 15 years ago in Athens when a Russian student at the school where I was working couldn't pronounce my last name and he started calling me "Mr. Butterfinger", which, I didn't mind at all, but I told him to just shorten it to Mr. B, and it's pretty much stuck. Getting people's names right is one of the small but HUGE things we can do to help make our world smaller and more intimate. Got it, Kimberly. I swear I will never slip and call you Lisa or even Kim again. 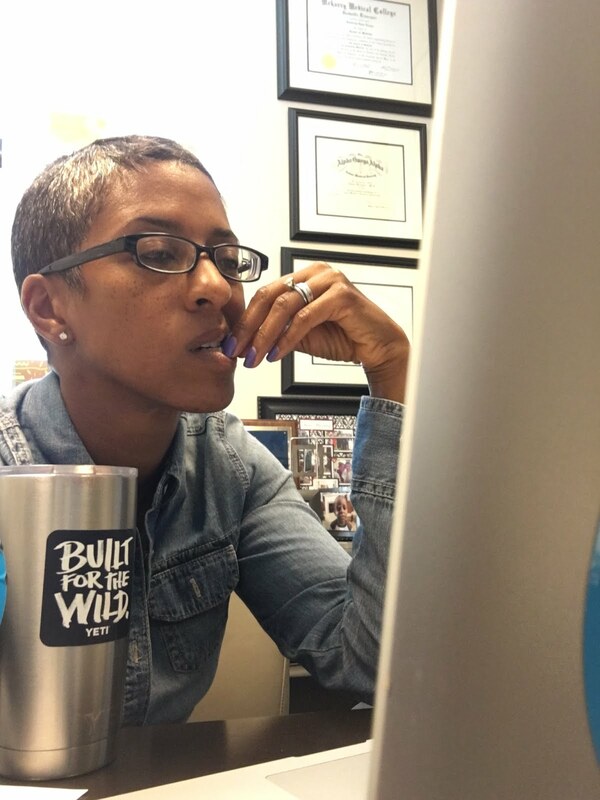 Dr. Kimberly Manning is rooted in the brain, now. Me, I kept my birth surname. As a child, I heard a woman say that all that she is she owes to her parents and so whatever she accomplished in life, she wanted them to get the name credit. It struck my imagination the way Team Manning did yours. So I kept my name, which when I got married had already appeared on magazine articles. But then, when my kids started school, i hyphenated my name with my husband's birth surname, except I didn't actually use the hyphen, just wrote all three names as if my birth name was my middle name, because I wanted every one in my kids orbit to know our little unit was a team, too. But then I wrote a racy novel and used my birth name because I didn't want the PTA moms and teachers to immediately associate that book with my kids. I have the best of all worlds, and often feel as if I have three personas, because now I use my birth name, my married name and my hyphenated name at will, depending on where I am and the mood I'm in. It's pretty cool. And on my blog I use my middle names, which are the same as my parents' middle names, so that's persona number 4. all of them, me. This reminds me of a situation at our church. I work a lot with the small kids. There is a Kenyan lady who had a baby at the same time I had my youngest. Everyone called her baby Katherine and I did too. One day, we were making a list of the kids for some reason and I asked her to spell her daughter's name. She spelled K-A-T-H-L-E-E-N. I told her I had no idea her daughter's name was Kathleen and asked why she had allowed her daughter's name to be spoken incorrectly for so long. She said she knew her accent could be difficult and she didn't want to correct anyone. I then corrected everyone that I knew who said it wrong. She was very grateful. Oh, and my name is Bridgette. It kills me when folks write Bridget instead. It feels so incomplete. Dr. Manning, this post reminds me -- I was in a wedding gown store in Roswell a few weeks ago, and there, in the dressing room, was a framed thank-you note that you had written to the store. We have never met but I love your blog and it made me smile to see the note -- such a kind gesture! Love this Dr. Manning! I'm writing a post on this topic on my blog (www.curveballsandmedschool.com) and would like to include an excerpt from your post. Linking it all back to you of course. It's so important!